0-6-0 Triang Lined Jinty refurbished and serviced beautiful runner. 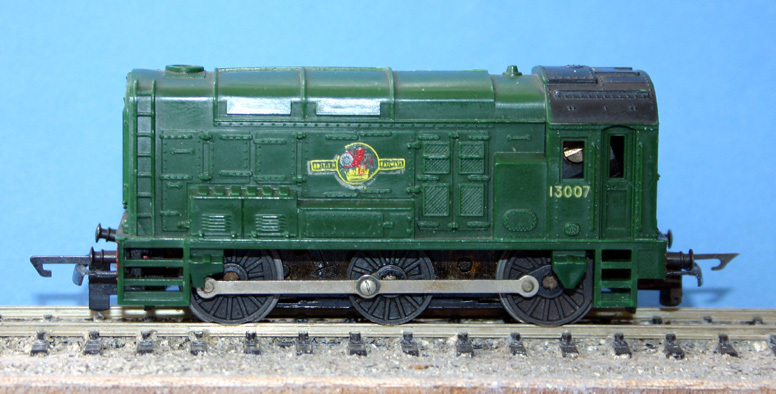 Triang Diesel Shunter green Livery with BR crests. A-1-A Diesel Electric Loco Boxed near mint condition apart from front coupling repair.